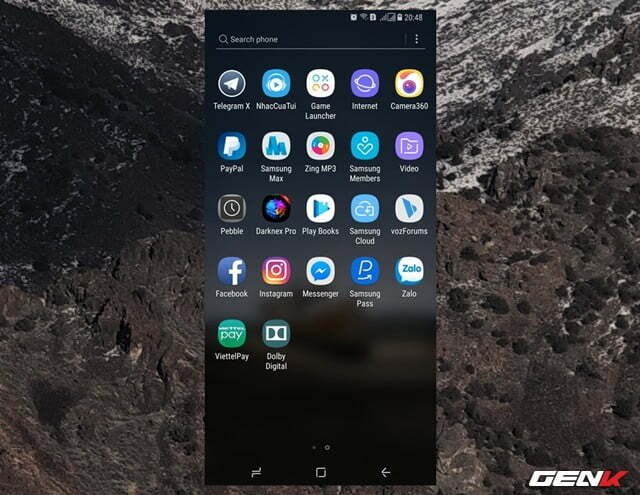 What is Dolby Atmos and how to bring the Dolby Atmos feature on high-end smartphones to any Android device. 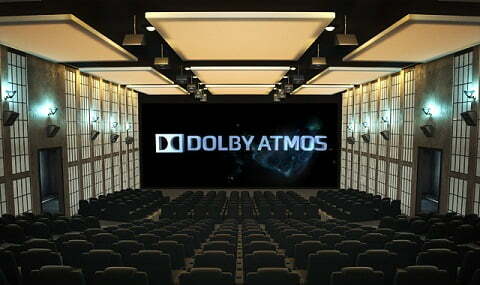 In 2010, Dolby introduced 7.1 surround sound standards for movie theaters, two years later, in April 2012, they set a new standard with the name Dolby Atmos. If Dolby Surround 5.1 and 7.1 give the listener a vivid and realistic sound, Atmos will increase that quality many more times. To have Dolby Atmos on Android on your phone, this is not difficult now. No need to root, you can still Install dolby atmos on android and use the Dolby Atmos feature on any Android smartphone you like. A new audio format by Dolby. With this format the surround sound effect will cover more, more realistic, suitable for audio content. Let’s take a look at the Dolby Atmos app. Dolby Atmos was officially introduced by Dolby in April last year, considered a valuable upgrade compared to the current 7.1 Dolby Surround standard. Since the Atmos standard, filmmakers can freely display the sound effects and noises they want more easily. By Atmos audio support can emit from (up to) a hundred satellite speakers, which will be installed densely everywhere in the auditorium, from left to right, top to bottom both on the ground and on ceiling. Thus, sound will be reproduced in a more realistic and vivid way. This is also a noticeable difference in Atmos compared to the old standard. In addition, Atmos also adds many specialized speakers that represent high-pitched sounds to reproduce the most realistic noises such as rain, helicopter wind, flying bees, etc. If you do not know, on some high-end smartphones, manufacturers often equip high-quality audio technology to give users the best sound experience possible. Dolby Atmos for Android is always a familiar name that technology companies often use. Therefore, Dolby Atmos on Android is only equipped on high-end smartphones. 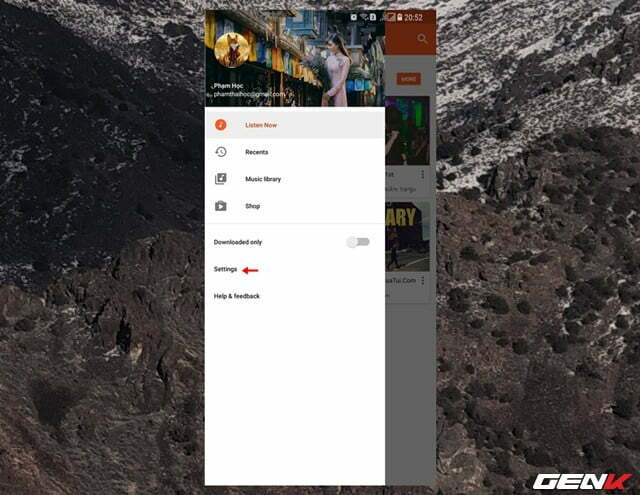 However, developers quickly extracted the Dolby Atmos utility package on the Lenovo A7000 device and allowed users to Install dolby atmos on android, as well as experience on any Android smartphone they want without having to ROOT the device. If you are interested, the following is a guide for you on how to Install Dolby Atmos on Android. 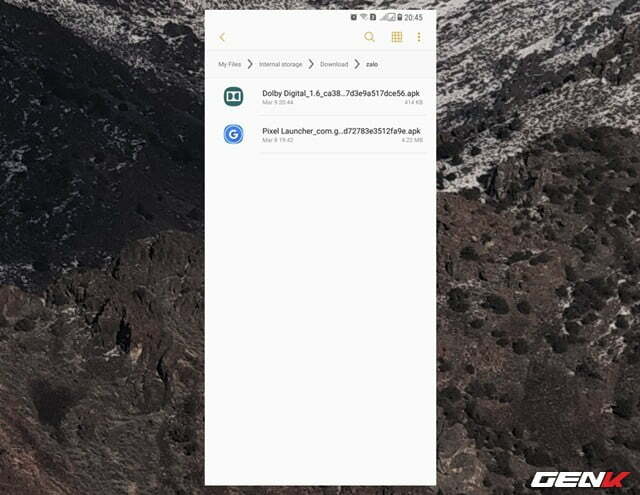 Step 1: Activate the option to install the application from an external source on the device (Unknown Sources). Step 2: Access this address and download the installation package to Install Dolby Atmos, then copy the packet to the Android device. Step 3: Install the package. Step 4: Complete the installation, the Dolby Atmos icon will appear in the application screen. However, you still cannot use it. 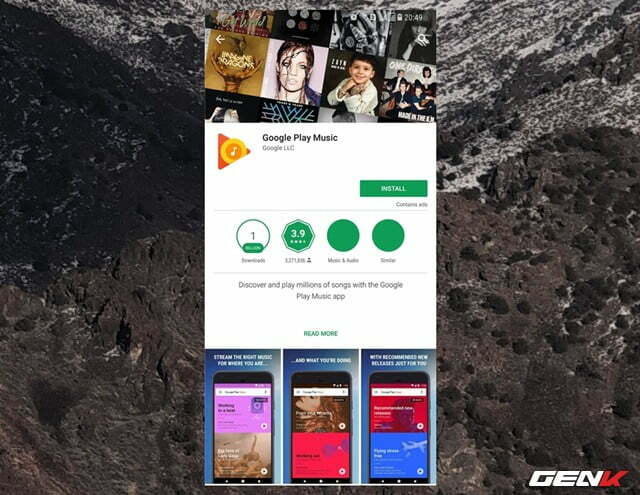 Now go to CH Play to find and download the Google Play Music app. 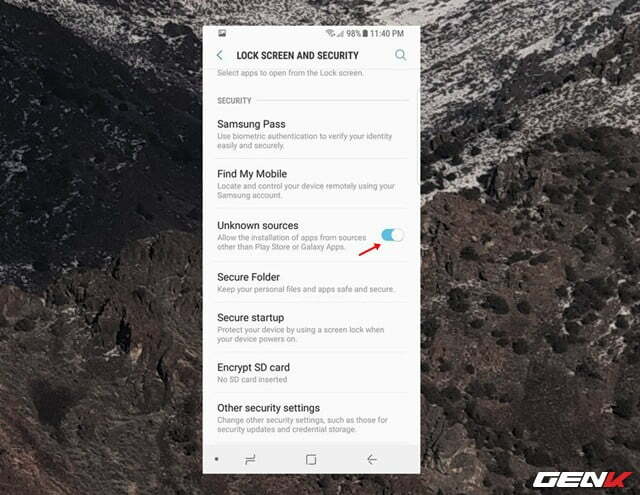 After the installation is complete, start the application and click on the 3-tile option to access the application’s extensive menu, click on Settings. 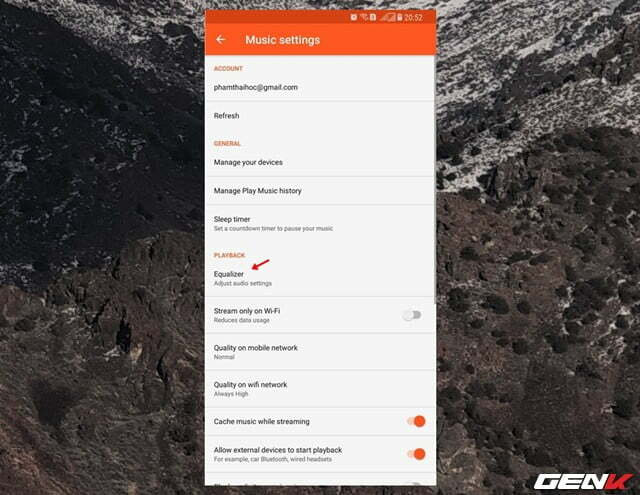 In the Music settings interface, find and click the “Equalizer” option. The equalizer selection dialog box will appear, click “Dolby Digital” and click “Always” to finish. Dolby also said that the Atmos standard is fully backward compatible with Surround 7.1, 5.1 and Stereo 2.0, meaning that when a content is created with Atmos sound, it can still be tweaked to fit the old standard. Dolby Atmos on Android currently only applies to the sound system of movie theaters, high-class auditoriums, but no specific schedule is available on home entertainment facilities. 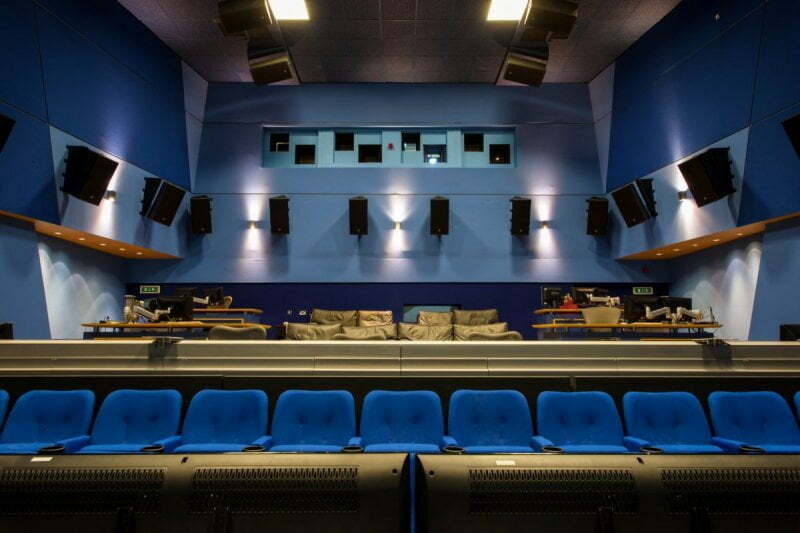 Currently only a total of 25 places worldwide are equipped with Dolby Atmos standard, of which 17/25 are in the US (including 14 cinemas and 3 offices of Dolby). Refer to the list here, users nearby can come to this place to experience the above Dolby Atmos sound test. They said there will be more places equipped with this technology in 2013. Dolby’s audio standard is applied to nearly 90% of today’s entertainment audio systems (movie theater, loudspeaker, sound system, TV, music player, phone … not to mention 100% of computers running Windows and Mac OS X are compatible with Dolby sound). Not only was it established at the cinema, the Dolby Atmos sound system began to creep into home theaters. To set up, you need an investment, first is the A / V receiver. Beginning A / V receiver devices support Atmos, they recognize metadata metrics in the source file, transfer that audio content to your entire home speaker system. In addition to the A / V receiver, you need to buy at least two Atmos-supporting speakers to add to the existing 5.1 or 7.1 speaker system channel. There are many new models available in the market, including speakers and receivers that support Atmos from popular brands like Denon (AVR-X4100W, AVR-X5200W), Integra (DTR-30.6, 40.6, 50.6), Marantz. (SR7009, AV7702), Onkyo, Pioneer and Yamaha (RX-A3040, RX-A2040). The Onkyo itself has a built-in Atmos kit for consumers to set up for a reference price of around 20-24 million Dong. Moreover, any Blu-ray player that fully supports Blu-ray technical standards can play a Dolby Atmos on Android movie without firmware upgrade. Just edit the playback sound. Also, there’s no need to buy a new HDMI cable because the HDMI cable now supports Atmos sound. There are many models of Atmos systems at home, consumers can build 5.1.2, 5.1.4, 7.1.4 or 9.1.2 speakers. The position of the speaker mounted on the wall and ceiling needs to be placed in a suitable position to create a 3-dimensional sound space around the viewer position. 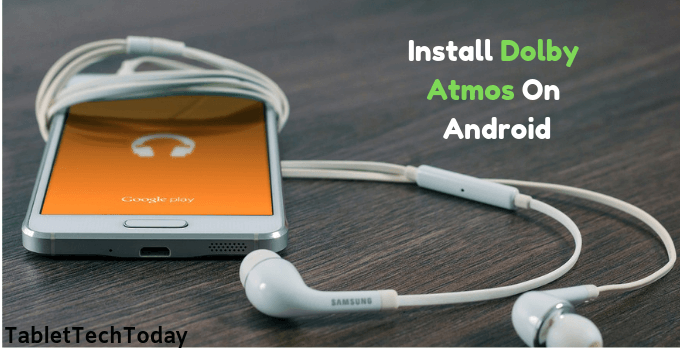 Hopefully our article will help you understand Dolby Atmos and how to Install Dolby Atmos on Android. Let’s install Dolby Atmos on Android right away to get the best audio experience.